You must see this AMAZING Home! Tranquility meets Convenience! 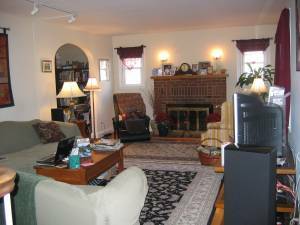 – Hardwood Floors throughout – completely refinished! 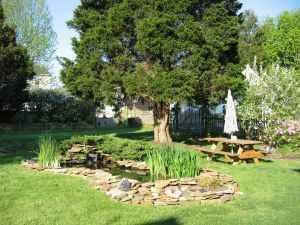 – Gorgeous Landscaping – a true OASIS for your pleasure & relaxation! – Separate Dining Room with Unbelievable space! – Plenty of cabinet space & side-by-side refrigerator stays along with freezer in the basement. If you are someone who enjoys tranquility but needs convenience, this is the house for you! This home has large rooms, a great kitchen, and original completely refinished hardwood floors throughout. It has three (3) bedrooms, a full bath/shower upstairs, and a walk-in linen closet. The first floor has a kitchen with lots of cabinet space, a full dining room, large living room, walk-in coat closet, and a powder room. There is also an unfinished basement with washer and dryer, an attic for storage, and a parking pad for two cars. There is so much more that makes this house charming and unique! 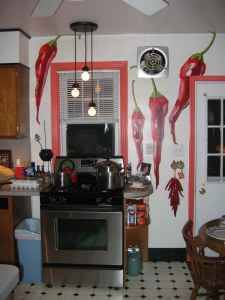 There is a large mural of chili peppers painted on a kitchen wall, and the entire powder room is a mural with a water garden theme. The artist got her inspiration from the large water garden which is a key feature in the back yard. It is full of flowering plants, fish, frogs, and snails, and requires a little bit of upkeep, but it is well worth it. Take your morning coffee outside and sit by the water garden, listen to the sounds of falling water, the distinctive croak of the green frogs that keep coming back year after year, and the many birds that inhabit this large yard. 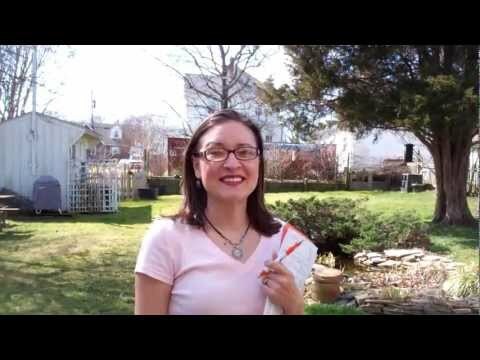 The large yard is entirely fenced in, has pear and apple trees, blueberry bushes, and dozens of azalea bushes. If you like to garden, there is a shed, a small hothouse and a couple of raised beds just waiting for you to plant in. And if you like to walk, hike and picnic, our street dead-ends at a 100+ acre park (Double Rock Park). LOCATION: Very close proximity to movie theaters, restaurants, and shops, and less than a mile from I-695 & I-95 on the northeast side. 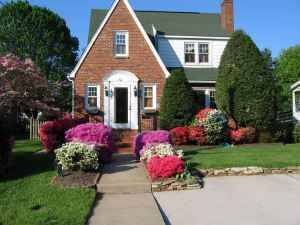 In a quiet family neighborhood & close to good schools, it is only 20 minutes from Aberdeen and one hour from Washington, DC.